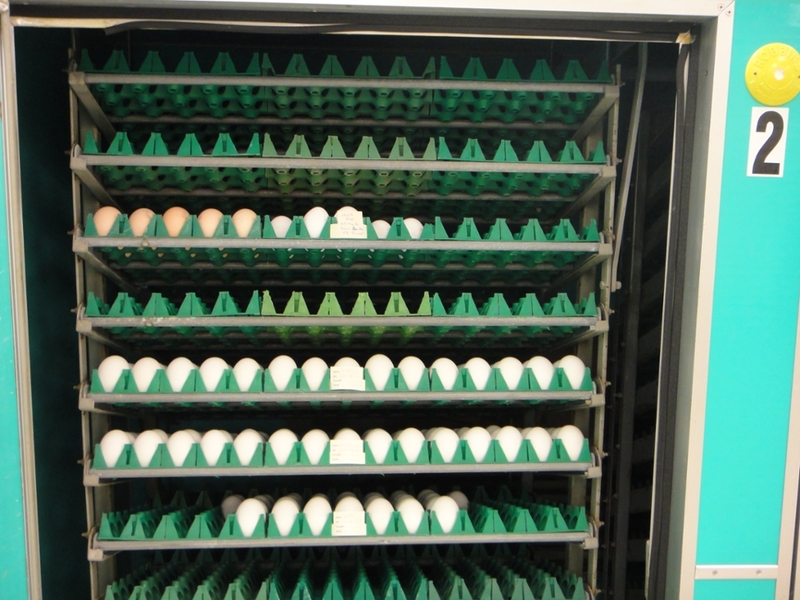 Two incubators (4300 eggs each) and three hatchers (1220 eggs each) service research and undergraduate teaching needs. 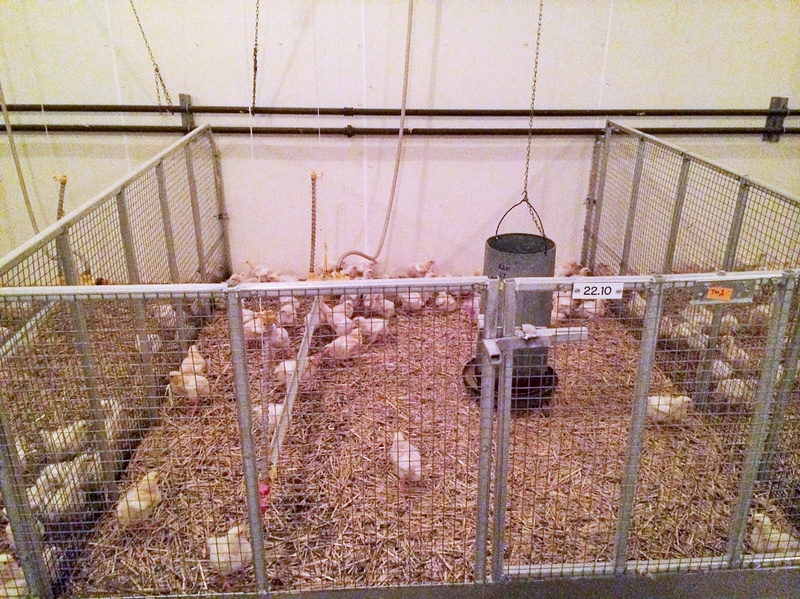 The hatchery also allows the unit to maintain two special chicken lines: Barred Plymouth Rocks, and an epileptic, mixed-strain chicken. 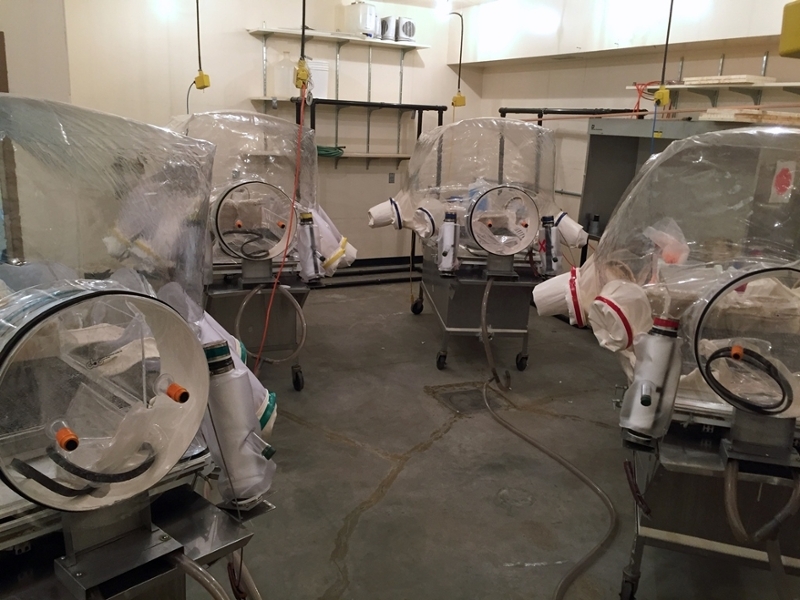 Supporting research in microbial ecology of the GIT, 4 isolators (and designated lab area) allow for a controlled and clean environment. Shower-in facilities are available. Houses up to 20, 3x3m pens capable of containing 100 commercial broilers or 20-40 commercial turkeys per pen (depending on gender and market age). Every pen is equipped with an infrared camera and feed/water measuring equipment, which collect data as frequently as every second. 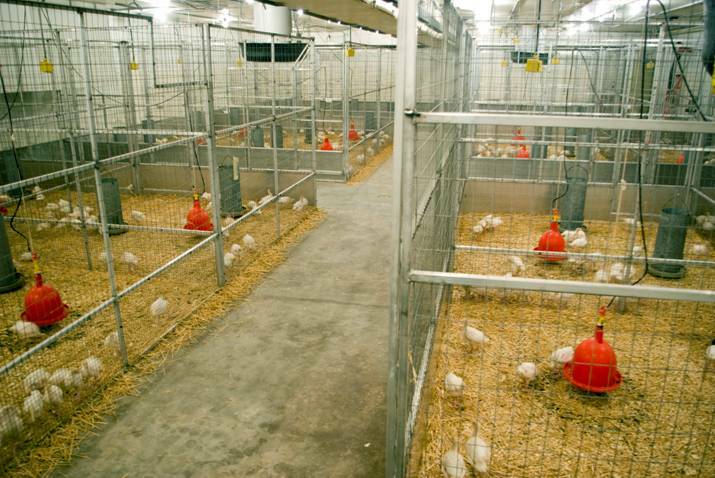 With the flexibility to install up to 12 (2.3 x 2 m) pens per room, 9 identical rooms contain a maximum total of 108 replicate pens, holding up to 70 broiler chicks per pen. 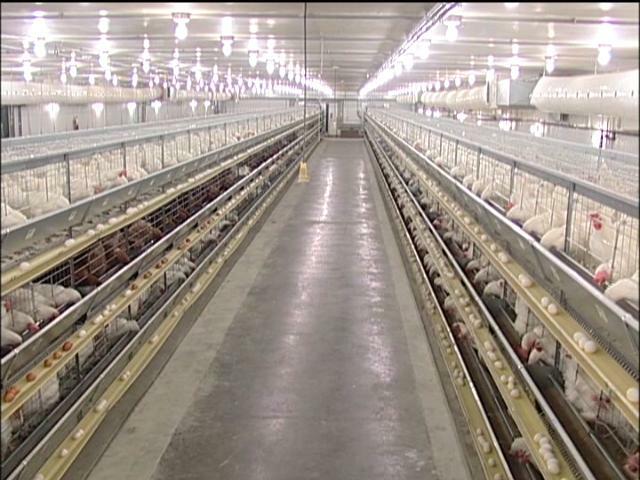 A full room houses up to 1000 broilers and up to 325 turkeys (based on density, gender and market age). Each of the 9 rooms are independently controlled for both lighting program and environmental conditions. Each room is capable of housing infrared cameras. 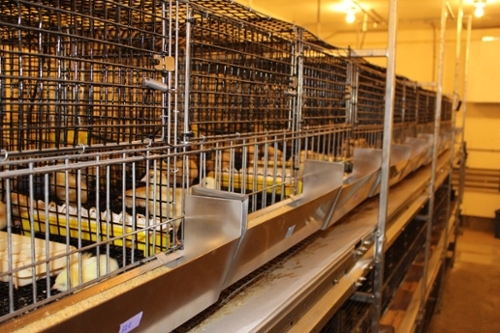 The Adult Cage Facility is a conventional 3-tiered cage system housing 6000 commercial hens. Replicate units consist of 12 hens each, and currently total 120 units, with the potential to expand. 128, 51x51x46cm cages, housed in 2 tiers, allow for small scale research, housing up to 600 commercial broilers, for up to 35 days. A row below the cages allows for collecting excreta samples in feed and ingredient digestibility research. The top tier of cages can support individual containers for measuring water intake.